Who says including social media at events is only for millennials? Not Snyder Entertainment, in fact we encourage clients to include + provide social media tools + solutions for their guests. Whether it's by including a phone charging station at a wedding, an Instagram print station at a product launch party, a Snapchat geofilter for prom, or our iPad kiosks for gathering email addresses at a grand opening soirée.. In 2017 social media is hotter than ever before and it isn't coming to an end anytime soon. You don't want to be the only company left in the dark ages, the friend that leaves early because your phone died at the after party, and you certainly don't want to be the only one who doesn't have a Snapchat account yet. #idoitforthefilters #sorrynotsorry But seriously, including social media at your next event is an absolute must. Read more about some of our featured solutions below..
INSTAGRAM | Have you ever taken the perfect picture and posted it to Instagram but wish there was a way you could have copy? If you add our Instagram Print Station on to your event we can make that happen. Take advantage of Social Media and set up a #hashtag for your event. Every picture posted to Instagram or Twitter with that #hashtag at your event will pop up on our machine. 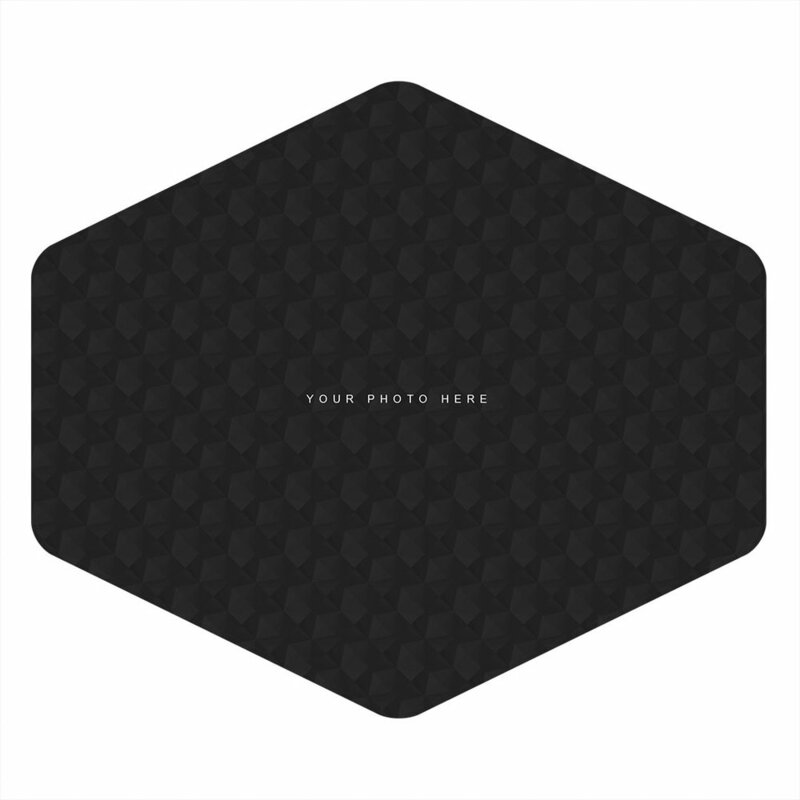 And to elevate the experience of our Instagram Station, we will also include a custom template for photo print outs. When thinking about designing your custom overlay, ask yourself the following questions: Do you want to display the information about the user that took the photo? Show the caption of the photo? How about if it was taken on Instagram or Twitter? What if you want to show all of the above and showcase your brand? Or, maybe you want to hide all of that extra information and just showcase your brand? No problem! Our intuitive and customizable printing software allows us upload any design, text, and/or logo into the machine, and when your guests print their photos, your design will appear on the prints.. It's really that easy! Make your photos look amazing and attract attention on Instagram instantly with our brand new InstaMask collection. Thanks to our friends at Creative Market, this is a new service that we're offering for 2017! We know that not every photo you see and want to share on Instagram has that eye-catching quality that it takes to get likes, comments, and new followers, but they can be. Do your photos need a creative boost? This is where our InstaMask collection comes in. With InstaMasks you can turn even the most ordinary photos into amazing graphics that will never go unnoticed on anybody's feed. Using our Instagram masks is really easy. All you need to do is select the mask you want to use and leave the rest up to our design team. After you approve your design proof and we have it the way you like it, we'll send you your new photo with the mask via email, and then all you have to do is save it and upload it. Pretty simple, right? This is a great option for our corporate partners, wedding venues, and all of our clients who don't have time to get overly creative with their photos but want to stand out for the better. I mean who doesn't want a trendy Insta feed anyway? 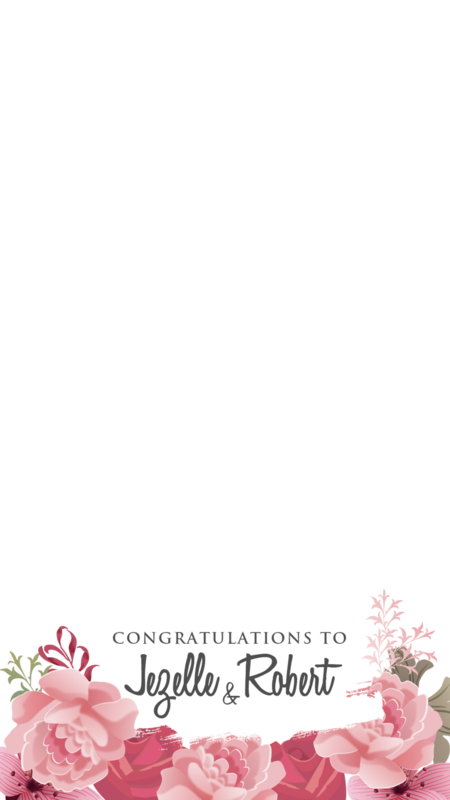 Geofilter may be used by guests at the location of event. Custom designed for your event by our graphic designer. Used on your smart phone. Great for creating custom memories + elevating your guests experience. Take picture then swipe to the right to use the filter. One of our hottest services currently is our custom Snapchat geofilters and for a very good reason.. Snapchat is a social media app that has sky rocketed the past year for almost every type of event that you can think of; corporate, wedding, product launches, grand openings, marketing campaigns, town gatherings, private parties, and the list goes on. Now days attending an event without Snapchat, well to some generations is just considered a waste of time. Your guests are able to access your custom geofilters instantly once they arrive on-site for your event. The fun of Snapchat isn't about just having your phone out because you're addicted to it (obvs), but it's about sharing your experiences virtually with people all over the world. Snapchat drives that emotional tug-of-war inside of all us, that sense of #FOMO that we all experience. So why not be sure that you include a custom geofilter for your next event? Our design team talks with you to get an idea of what you're looking for, custom design it for you, and have it ready to go at your next event! This is an incredibly affordable option for all of our clients looking to elevate their events, not to mention it's all the rage right now. Check out a few of our latest designs below, brainstorm your ideas, and give us a call.. Let Snyder Entertainment create your next custom Snapchat geofilter! CHARGING STATIONS | Mobile device charging stations may be among the most underrated pieces of event hardware. A custom wrapped charging station that makes your event mobile phone friendly, an opportunity for an alternative advertising platform, and a destination for those whose mobile devices need a little extra power to make it through a long day. The stations themselves charge the phones very quickly and have universal charging for Android, iPhone, and Blackberry, among others.These charging stations have been designed to deliver ultimate flexibility to adapt to the diversity of environments and venues needs. Mount it on the wall, place it on the center of a table, or set it up with one of our stands to complement the aesthetics and experience that is desired for your event. An up and coming trend for wedding; this is a reception must have. Why have a custom wedding hashtag if no one is able to use their phone and post about it? If you're the type of couple that encourages guests to Tweet, Instagram and Facebook throughout your big day, then chances are many of them will wind up with a drained phone battery by the time the first course is served. So keep them totally wired by setting up a phone charging station at the cocktail hour and reception. The same can be said for corporate functions, fundraisers, and practically any event you can think of.. Because like I've mentioned before, no one leaves home without their phone! IPAD KIOSKS | Kiosks are one of today’s best interactive tools for elevating any event. Our kiosk rentals allow you to easily promote your event and exchange information with guests. Our iPad kiosks require minimum set up and take down, and fit in any and all venues/spaces. We provide an attendant to guide guests, and our staff remains on-site in case of any technological difficulty for the clients peace of mind. We can customize and install our iPad kiosk stands for your next event. iPads can be mounted horizontally or vertically, depending on the needs of your users and your event. Need help with branding for your event? We can provide custom banners that mount to the front of each kiosk. Our iPad kiosks are ideal for: sponsorship and event promotion, self-service registration, cyber cafes and restaurants, social media lounges, school libraries, large conferences, product launches, grand openings, interactive sitemaps, presentations, guest arrival and departure time log, live social media feeds, photo slideshows, digital guestbooks, and so much more! PHOTO BOOTHS | One of Snyder Entertainment’s most popular and in demand products is our one-of-a-kind open air Photo Booth! Since these snapshot photography stations hit the entertainment scene, photo booths have been a long running trend at all types of events and celebrations. Event professionals alike all agree that we don't see an end in sight for this must have service. Aside from being incredibly advanced in the market of photo booth rentals, Snyder Entertainment stands out when it comes to customizing your photo booth experience! 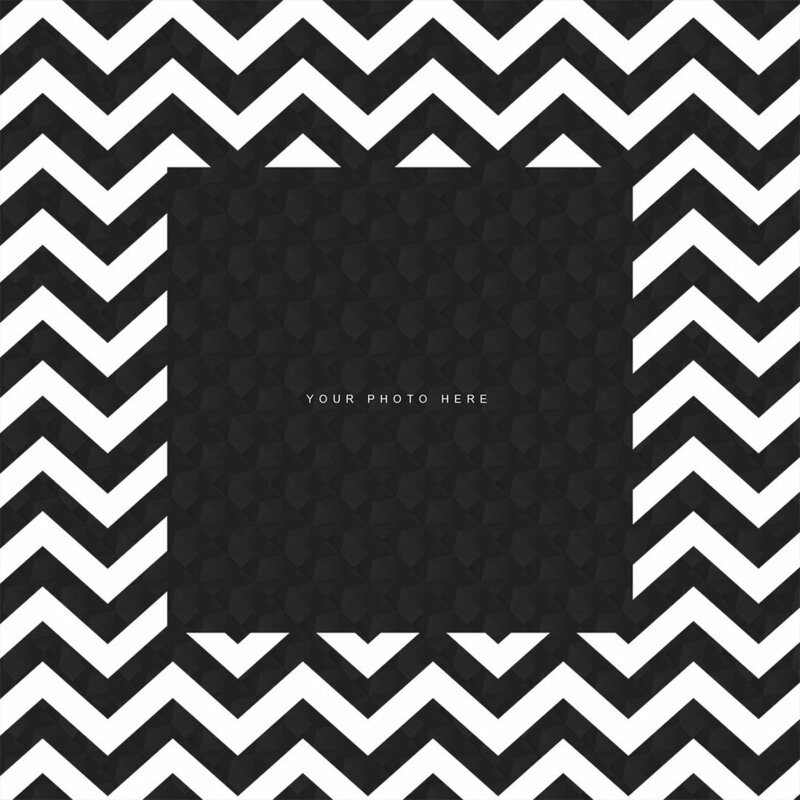 From the moment you book a photo booth package with us, you receive an email prompt to begin thinking about your template design for your photo print outs. When deciding on a template, it's important to keep one thing in mind: what is unique about your event that can be translated onto your template? Meaning what are your favorite colors, text you want to include, certain quotes, possibly your destination, specific logos and images, activities, symbols, etc. that are important to you and your event. Once you decide on the important features, it becomes much easier to paint the perfect picture for your design. All of these decisions and ideas can be easily communicated with our design team to create your unique template. Just recently we've started breaking away from the traditional selection of templates we’ve always provided and have started moving in a new, more modern direction. We will still send you a list of hundreds of pre-made templates to choose from, but starting now we will also send you the option to create your own customized template! Need some ideas? No worries, we will send you a huge list of multiple images, fonts, background options, graphics and more; making it easier than ever for you to bring your inner artist out and your ideas to reality. Another easy way to custom create your template- tell our design team what you're looking for and let us create a template we think that you'll love. This feature is incredibly affordable as well; we'll add the custom template option onto your photo booth package for only $35! Most local and online photo booth companies are charging upwards of $75+ just to customize your template with #basic graphics alone. This custom option is ideal for weddings, corporate events, private parties, birthdays, graduation parties, conferences, destinations, product launches.. the possibilities are endless! Snyder's team of graphic designers can provide these custom creations for photo booths, green screens, Mirror Me booths, etc. Check out a preview of our brand new custom options below, see a few templates that we've already custom created (names have been changed). So if you're ready to get more social media savvy at your next event + want to impress your guests of all ages, contact us today to book these interactive elements at your next event!